Following the popular and accessible at a Glance format, Vascular and Endovascular Surgery at a Glance demystifies the important concepts of vascular disease and vascular surgery. 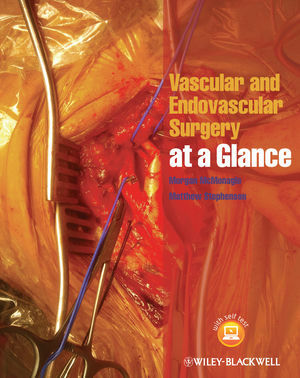 Featuring in-depth details of common vascular topics, to rarer presentations, this is an ideal guide for those interested in a variety of subjects relating to this rapidly expanding area. This is a must-read for any specialist at all levels who has an on-going commitment to vascular disease management and medical education.